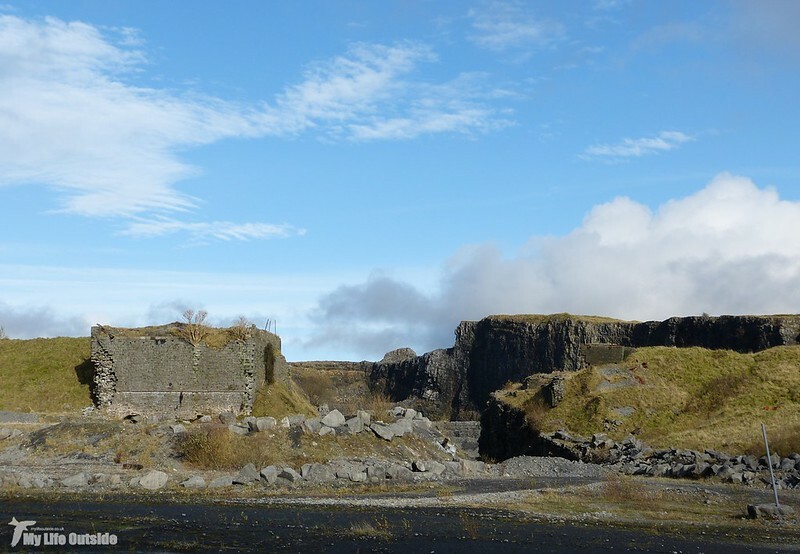 As promised I've put together this follow up entry for those who enjoyed our visit to Penwyllt quarry a couple of weeks ago and wanted to see a little more of what remains today. The site is, not unsurprisingly, rather large and we only managed a brief look around some of the structures still present. I'm sure a more thorough investigation would likely reveal yet more of the history surrounding this place but for now here are a couple of my favourite shots from the day along with a little of their story. 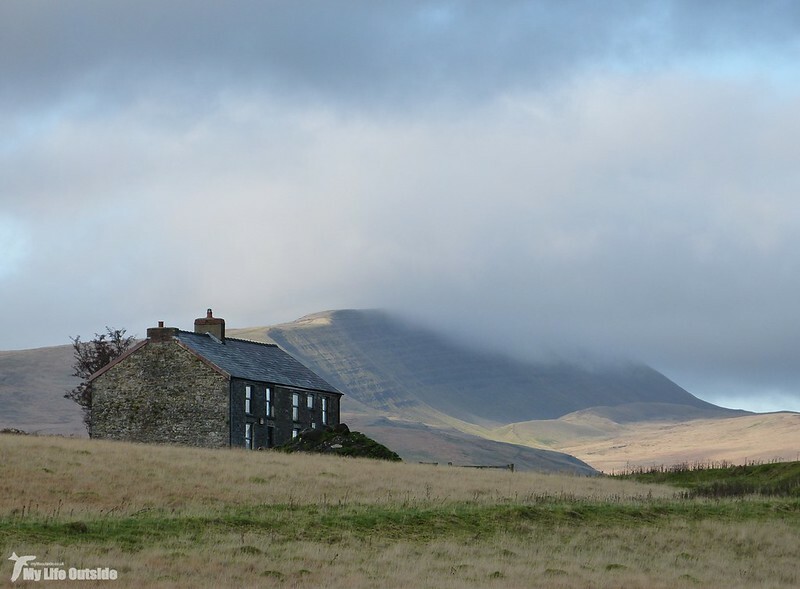 Penwyllt is located in the hills behind Craig-y-Nos and as such enjoys spectacular views over the surrounding Brecon Beacons national park. Not a lot remains today of the village itself which at its peak was once home to over five hundred people. 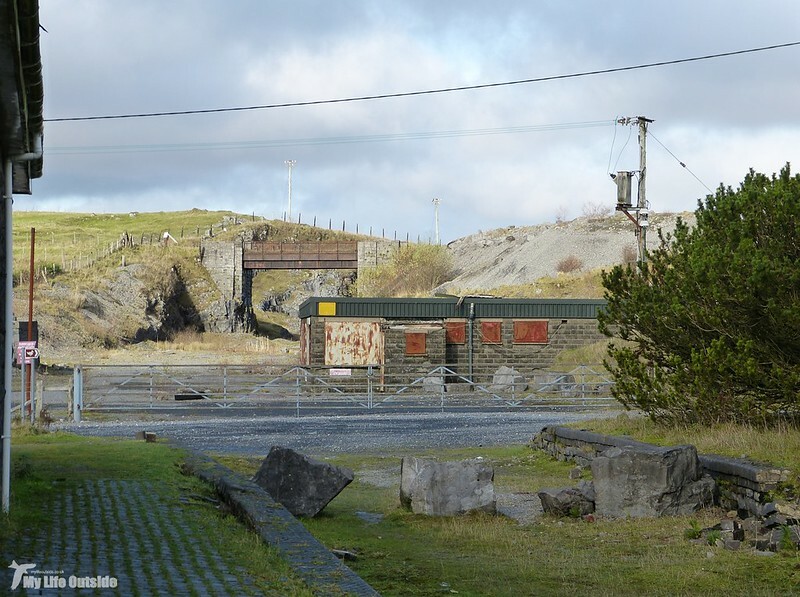 Following serious decline the quarry finally closed in 1977 with most of the remaining buildings demolished in the 1980's. 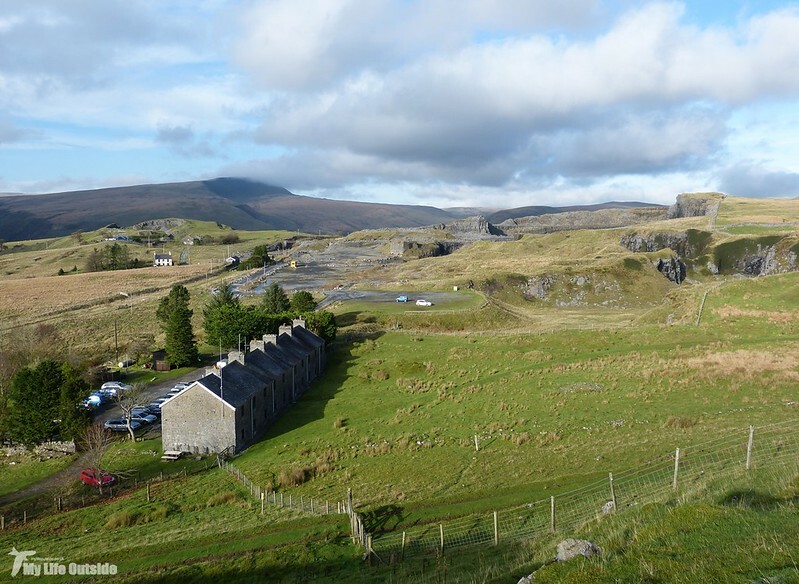 One survivor however is the Penwyllt Inn, known locally as "Stump Inn", which is seen here with the dramatic Carmarthen Fan in the distance. The only other significant part of the village still standing is the terraced row of houses seen here in a wide view looking across the main site. Today this is the headquarters of the South Wales caving club but was once a row of ten small terraced cottages on Powell Street. The main quarry can be seen beyond with the route of the Neath and Brecon railway visible to the left. Situated at the entrance to Penwyllt is this office and weighbridge complex adjacent to where the railway once crossed the main road. It appears relatively modern and may still have been in use during brief spells of renewed activity here over the last couple of decades. 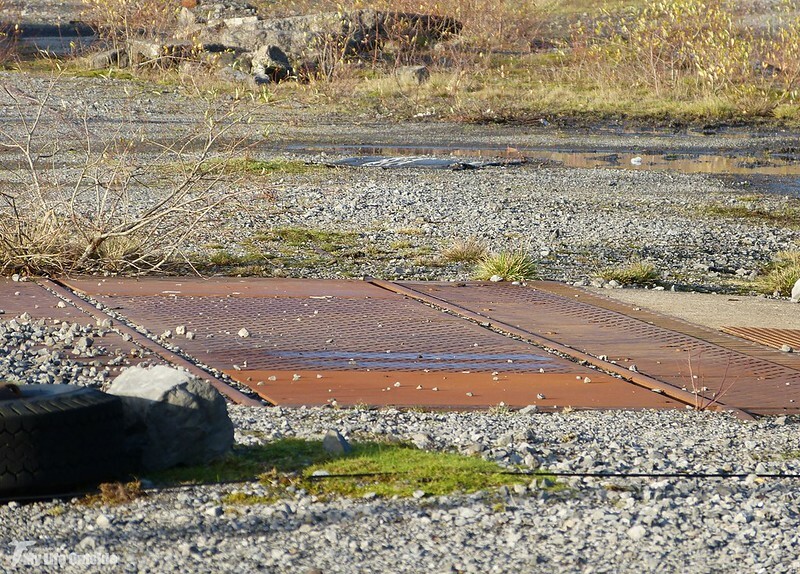 Closer inspection of the weighbridge reveals that there is still at least one set of rails remaining in situ. These stretch in both directions with a set of points partly visible beneath the tarmac road. 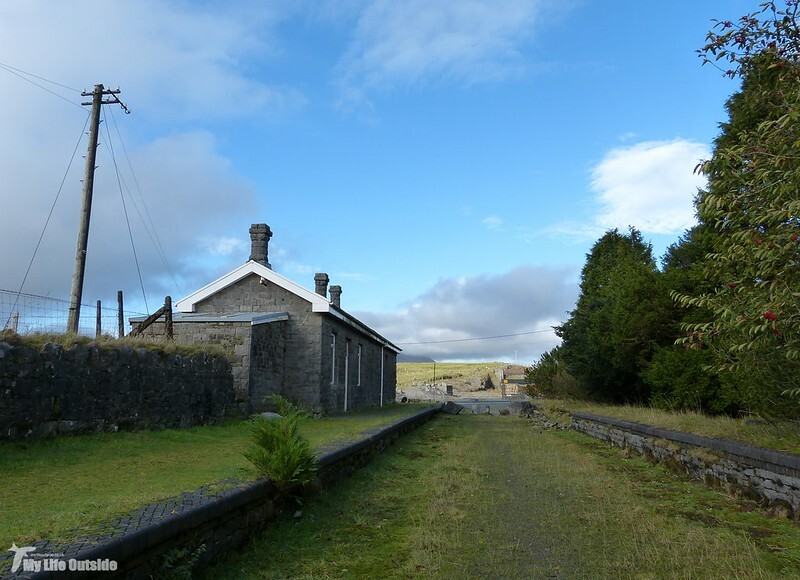 The most surprising aspect of Penwyllt is that its railway station is still standing, complete with double platforms and original line side fencing. The construction of this station was part funded by opera singer Adelina Patti who lived at and extended Craig-y-Nos castle further down the hillside. In return the railway provided her with a private carriage which she could request to travel on anywhere in the UK. Not a bad deal. Today it is apparently a private holiday cottage although it looks like no one has paid a visit in quite some time. Of course the quarry itself is hard to miss and sits like a giant gaping hole in the hillside. Much of its current size I believe dates to more modern times with many smaller and older quarries littering the hillside above. 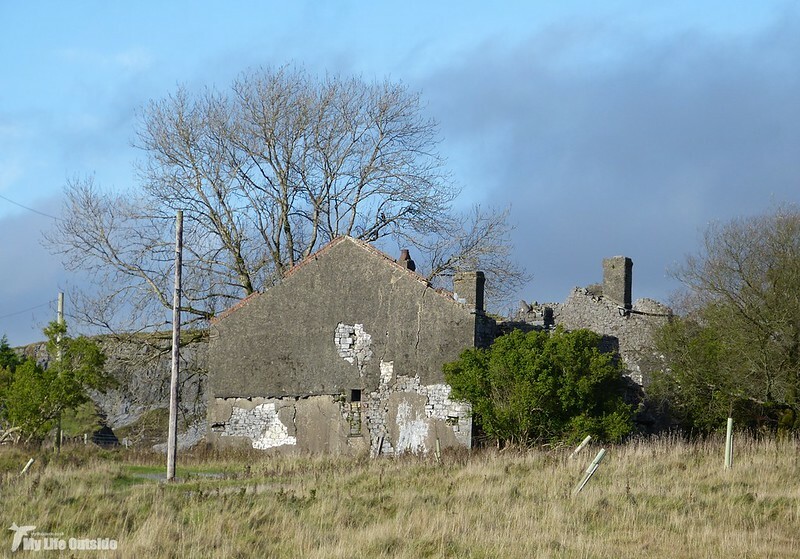 As with many such locations Penwyllt has a complex and often unclear history but limestone extraction first began sometime around 1819 for the purposes of producing quicklime. This conversion process took place in numerous lime kilns such as those just visible to the left of shot above which date from 1878. 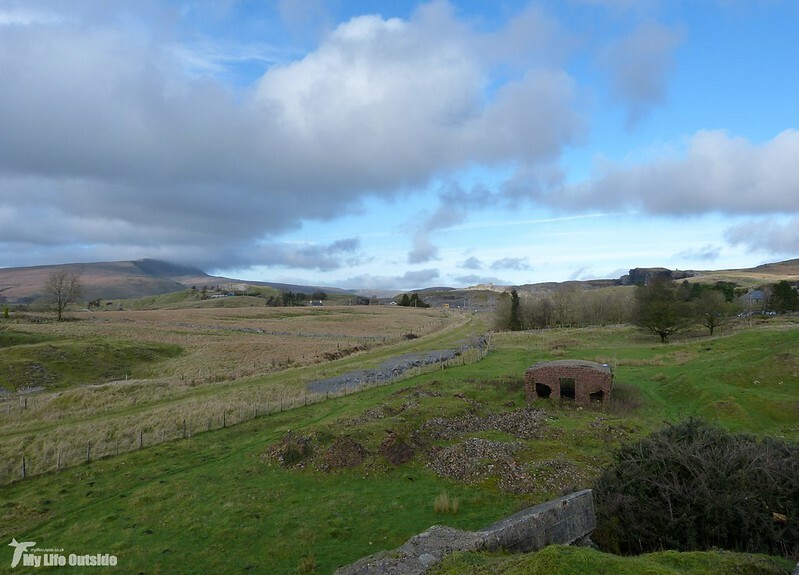 It's possible to walk the now abandoned Neath and Brecon railway for a good distance south with this view taken looking back towards Penwyllt and bridge 33. Sitting alongside the railway are the remains of Penwyllt brickworks. First opened in 1865 their main product was silica bricks destined for the furnaces of south Wales. It supported a complex series of internal standard and narrow gauge railways until production ceased in 1939. The brickworks remained largely intact into the 1950's with its narrow gauge locomotive still tucked away in a shed up on the hillside. Sadly she was wrecked after careering down one of the inclines in what can only be presumed as a malicious act. A deliberate attempt to sabotage perhaps the fledgling Talyllyn Railway preservation movement which had hoped to use her to restore their own locomotive. 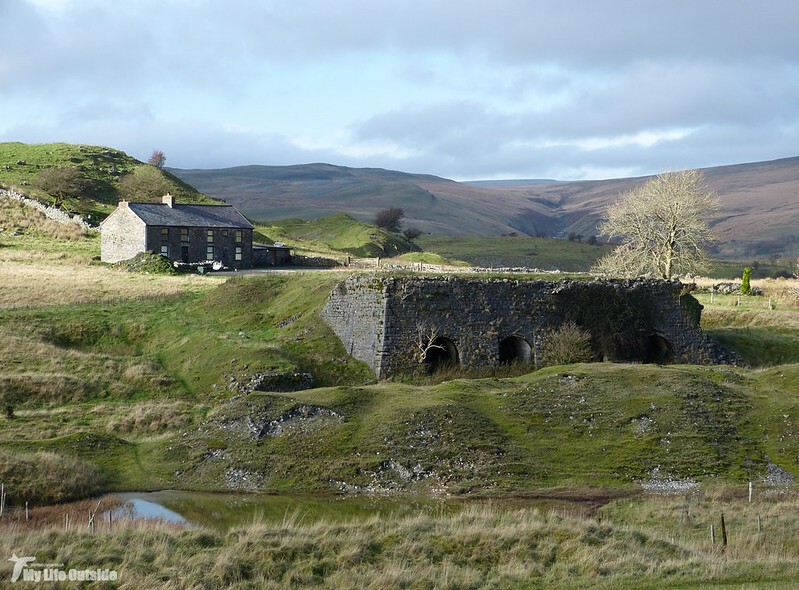 The Pen-y-foel lime kilns at Penwyllt sit in front of the old inn and were constructed between 1863 and 1867 and had a rail served loading bank to their front. On another day this is definitely one of the structures I'd like to study in more detail. 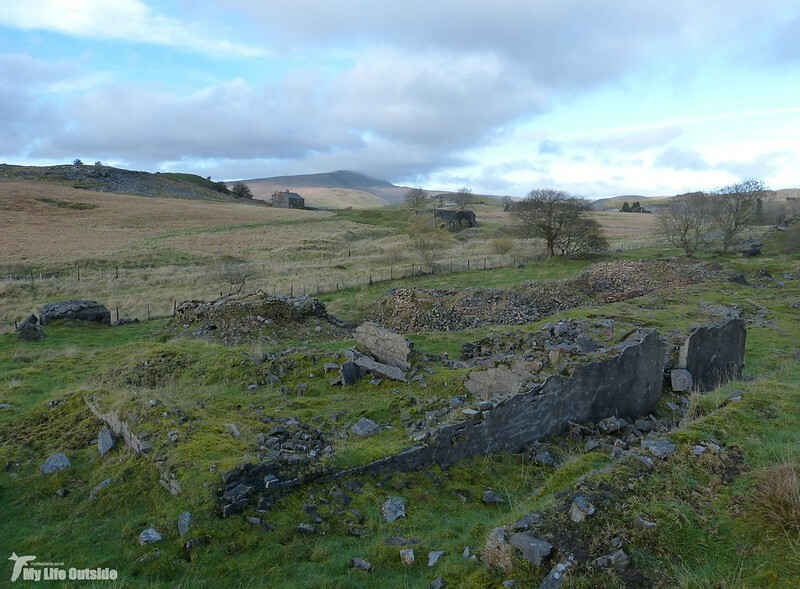 Another remnant of the old village is this ruined row of houses known as Patti Row which dates back to the days of the Brecon Forest Tramroad. 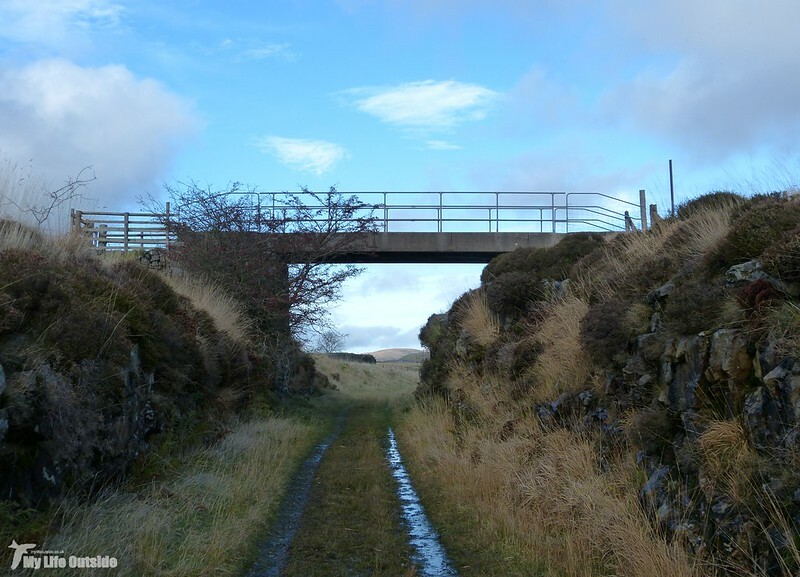 This was an early nineteenth century network of connected tramroads and wagonways stretching across the hills of Forest Fawr. Much of its southernmost section was reused for the Neath and Brecon railway. 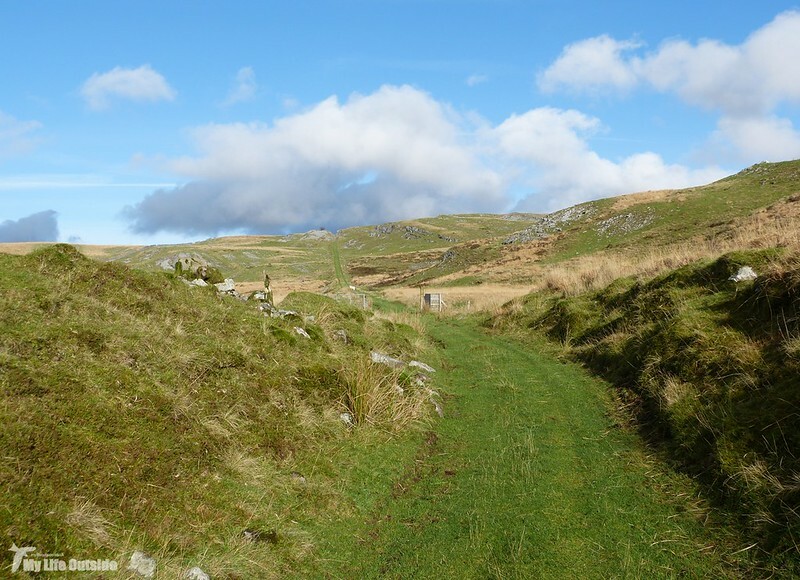 More of the Brecon Forest Tramroad can be seen on the hills above Penwyllt. Its routes can still be clearly discerned with many having sleepers (stone and wood) present for long stretches. We spent a good couple of hours wandering along them and still barely scraped the surface. The incline seen here was cable operated and helped bring limestone down to the brickworks and railway. As you can probably imagine I've barely touched on the history of Penwyllt here, partly down to not wanting to bore the pants off everyone and partly because I simply haven't been able to find a great deal of information on the internet. There are plenty of current photos around but nothing much from any earlier. Needless to say I shall be digging a little deeper over the winter to see what else I can unearth. Thanks for this, I really enjoyed it. the landscape is so expansive and open its breath taking! Love the ruins too, twas quite an operation! Adam, you've reminded me that i have taken lots of post and current industrial images but rarely found time to load them to Flickr. I've just created a new album at https://www.flickr.com/photos/paul_seligman_cardiff/sets/72157649712931075/ and loaded 3 new images from the valleys taken last July and added an existing image from SA as well. Thanks Paul. I had a look at your photos and that's at least one more destination added to my list of places to visit. Good pics, Adam. I used to see the loco Gwendolen in its shed when walking the line and I remember when it ran away. Owing to incompetence on the part of those removing it (to a museum, I was told) at the time of the Brickworks sale, it ran away when being lowered down the incline, came off the rails at the last bend and was too damaged to save. I hadn't heard that the Talyllyn people were interested. This is not mentioned in key player Tom Rolt's book "Railway Adventure" on the re-opening of the line where he describes efforts to acquire locos, rails etc.